Les Caves de Pyrene is an importer, agent, distributor and retailer of wines from around the world. 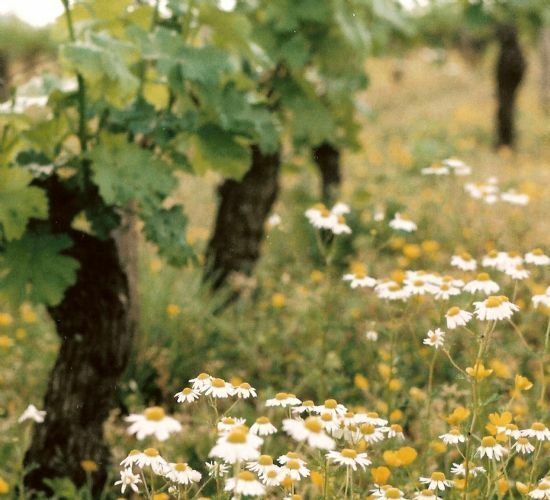 We believe in promoting ‘natural’ wines: those that are expressive of their homeland; wines made by hand with minimal chemical intervention; and where the winemaking shows maximum respect for the environment. We believe in the importance of ‘terroir’, indigenous grapes, diversity and organic viticulture. Above all, wines of character. 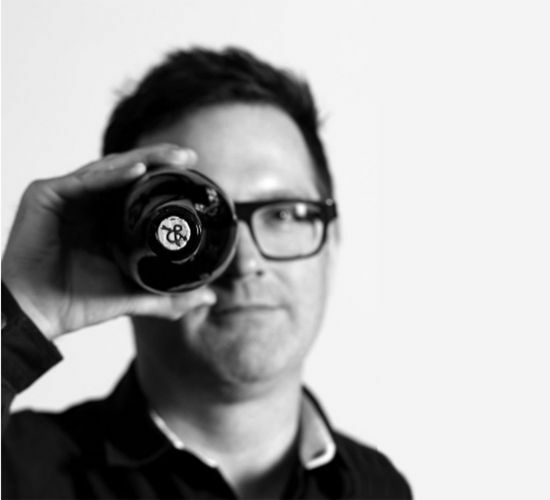 We champion small, independent winemakers, the hardy souls who put their love and life’s work into the bottle to deliver a unique and inspiring product. 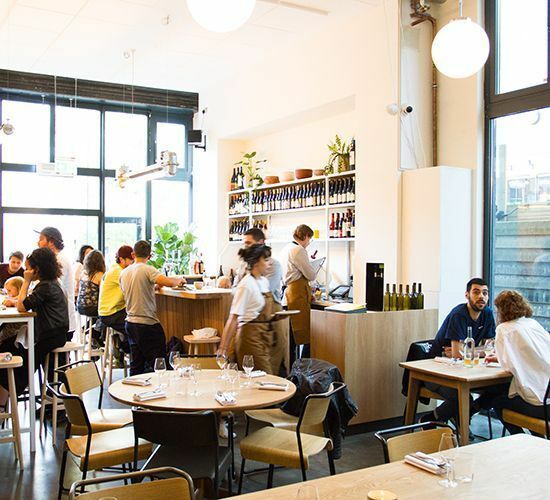 Plateau (“Wine, Beats & Bites”), opened in 2011 by Thierry and Vincent, two French friends from the Loire Valley, may justifiably claim to be the first natural wine bar in England outside London. As neighbourhood places go, P. Franco has to be one of the best for finding some cracking wines at not-too-dizzying prices. 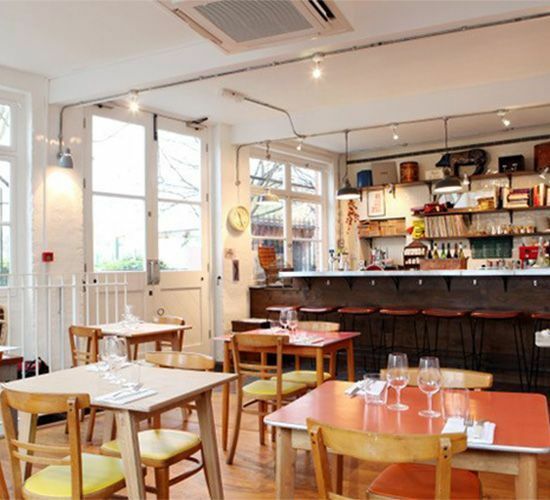 We continue our Real Wine Drinking Guide in London's Lower Clapton. This month we bid farewell to Dario Poddana, a.k.a the most efficient man in the history of wine, who is flying the Caviste nest for his native Italy. 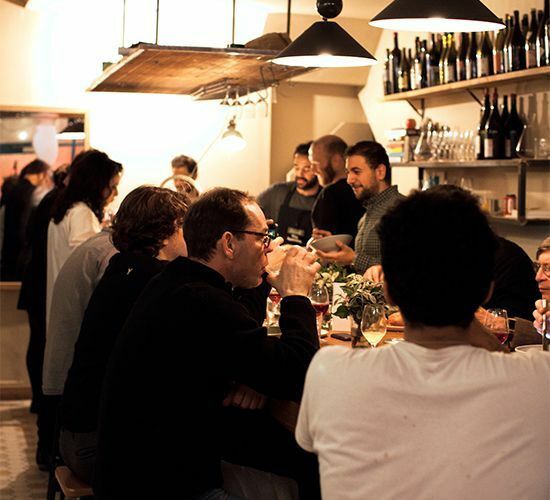 Their aim is simple: to persuade City punters into drinking natural wine without realising it. 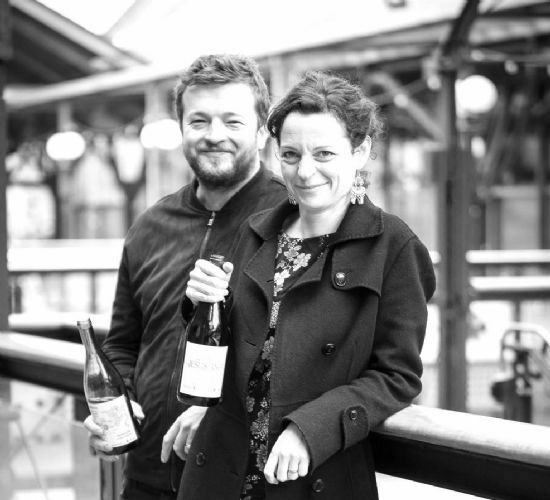 Here's to Nuala, London's newest natural wine champion. Brawn champions “real and free wines” favouring European growers, although it embraces producers who work with the same philosophy wherever they are located on the planet. 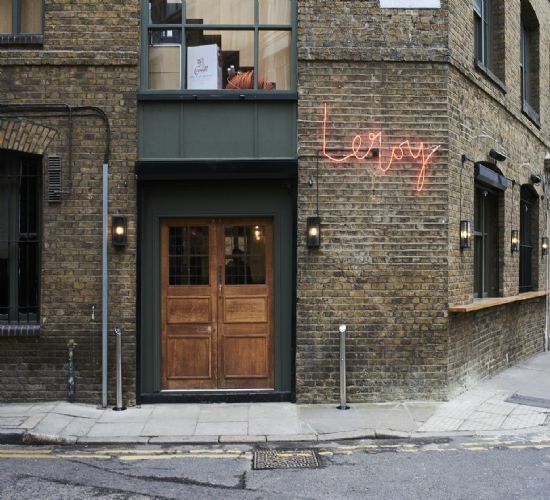 Leroy happily sprang from the ashes of Michelin-starred Ellory. 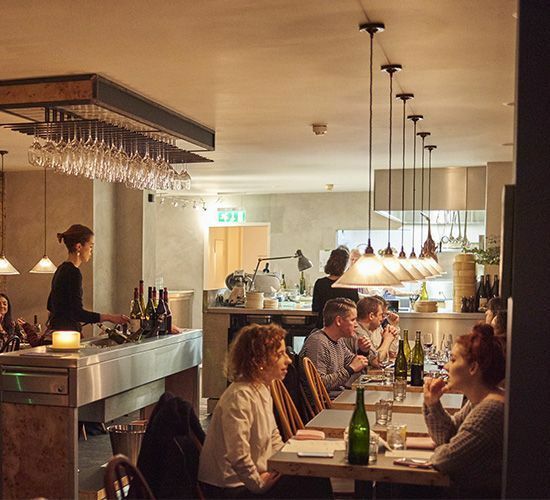 In spring 2018 the kitchen and front of house team moved down the road to Shoreditch where it is one of the best places to eat in an area that already has an embarrassment of gastronomic riches. Terroirs is 10 years old! To celebrate this momentous landmark they're putting on a fortnight of festivities. We are qvevri (ahem!) pleased to announce we've landed our 2017 Georgian wines! Georgians Back in The House! 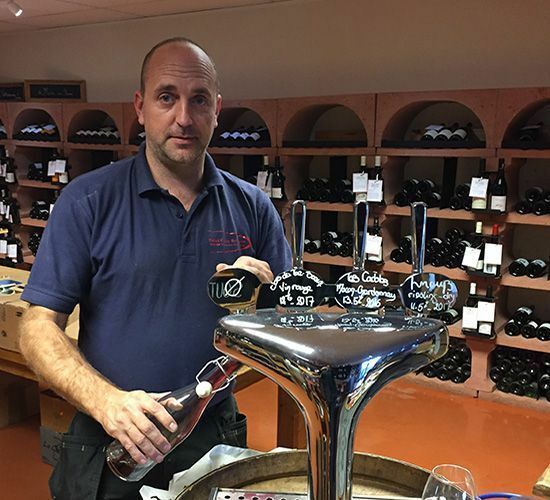 If you missed John at our Autumn Tasting, Restyling Wine, we caught up to ask about KeyKegs and the service we can provide. Have you met John Cayley? The Real Wine Drinking Guide continues with a look at Bright [E8], sister restaurant to P. Franco and Noble Fine. 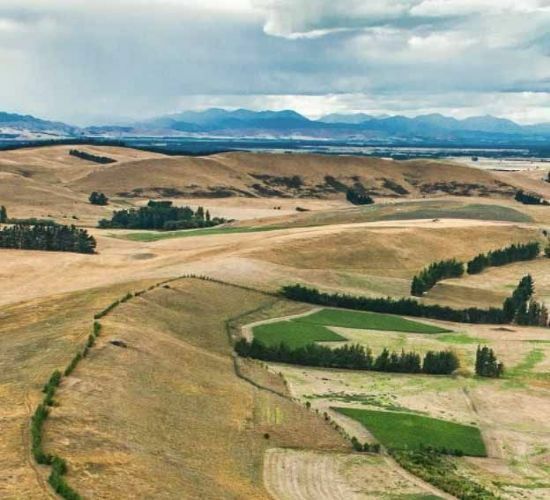 We take a look at the latest wines from John House and Ksenija Kostic of Ovum Wines, Oregon. We took a look at Bow & Arrow's latest offerings. 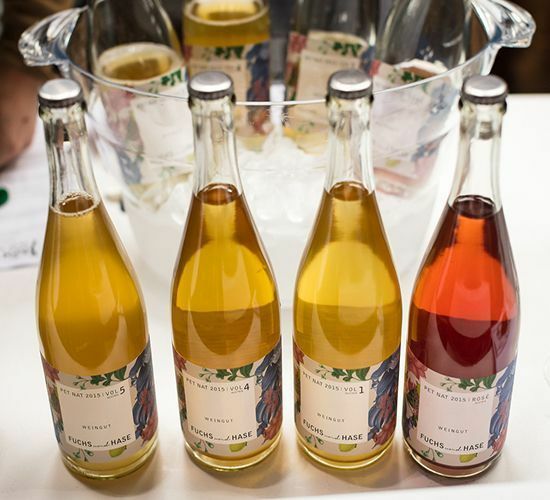 On Sunday 12th and Monday 13th May The Real Wine Fair returns to Tobacco Dock! An event not to miss! 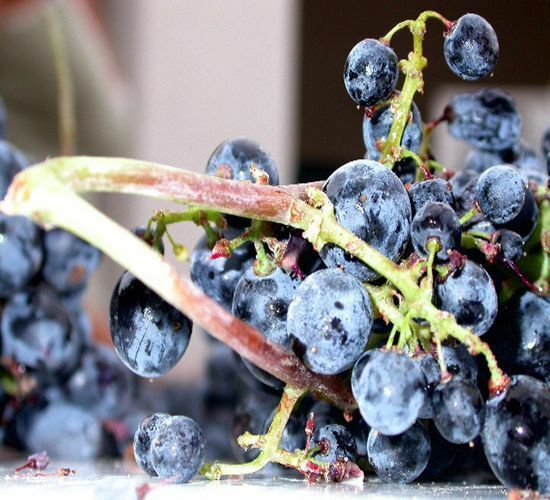 Part one: we explore the dictionary of grape varieties beginning with A. 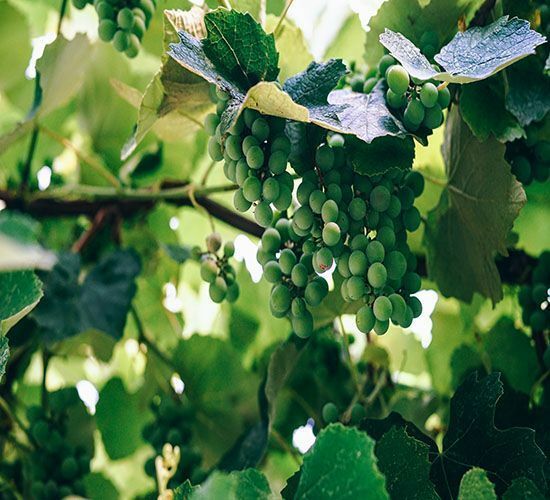 Part two: we explore the dictionary of grape varieties beginning with B. 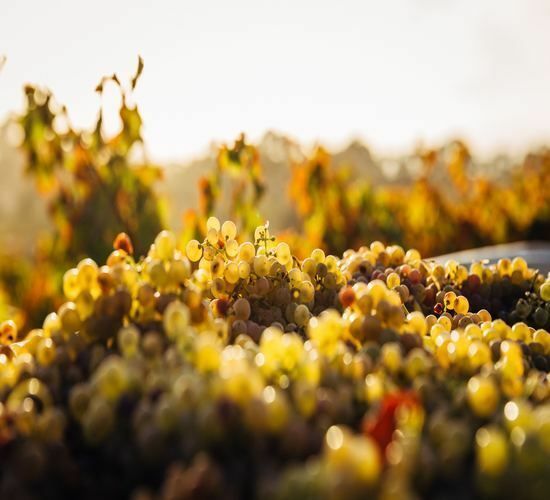 Part three: we explore the dictionary of grape varieties beginning with the letter C.
Part four: we explore the dictionary of grape varieties beginning with the letters D, E and F.
Exploring D, E and F! 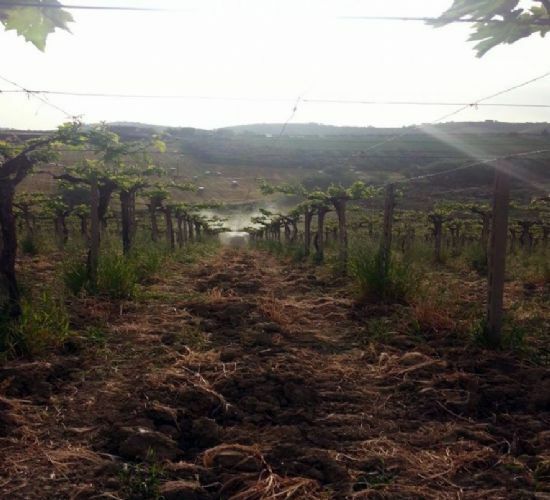 In homage to our recent visit to Sicily we talk about the wines of Marco De Bartoli, pioneer of Sicilian native grape varieties, Grillo and Zibibbo. 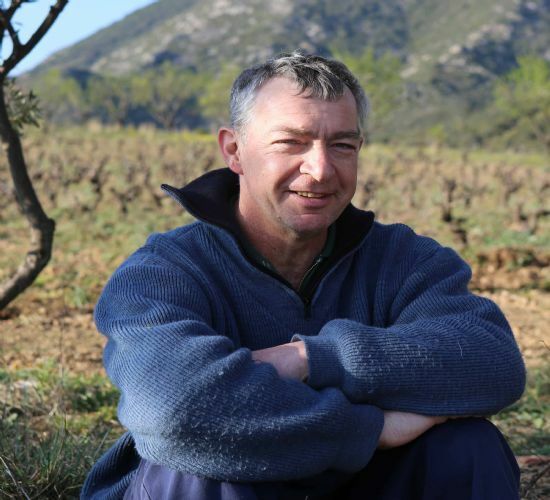 Pierre Bories of Chateau Les Ollieux Romanis tells us what he would be if he were a grape variety, his preferred tipple and who he would have around the table at his last dinner. 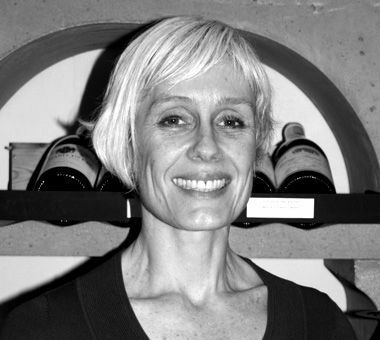 We caught up with natural wine writer Alice Feiring. Spring has sprung - take a look at our April mixed case! Q&A with Alice Feiring: Part Two! 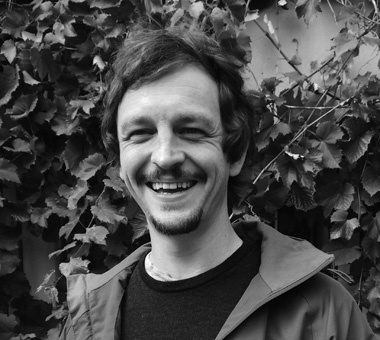 Charlie Mellor is owner of The Laughing Heart in Hackney. We talk to him about wines and where he drinks when he isn't in London. Exploring H, K and L! The 2015 vintage from Pyramid Valley has arrived and it'll the last with Mike and Claudia Weersing at the helm. We bid them a fond farewell. We have finally reached the end of our journey! From Vermentino to Zweigelt, we celebrate some of the more obscure letters in our alphabet and toast to what has been a truly epic voyage. 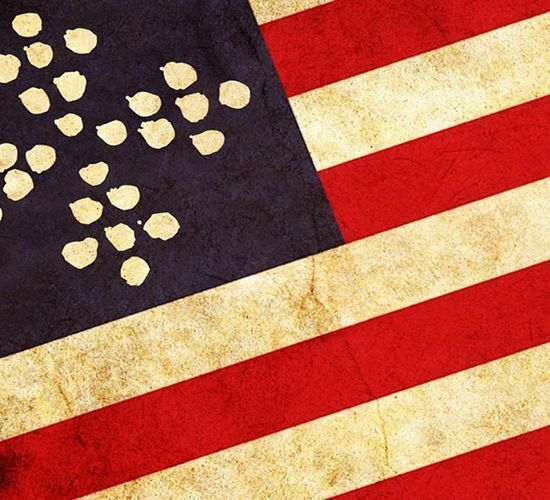 V-Z: The end is nigh! The Real Wine Drinking Guide returns with a visit to Exmouth Market’s Shawarma Bar. 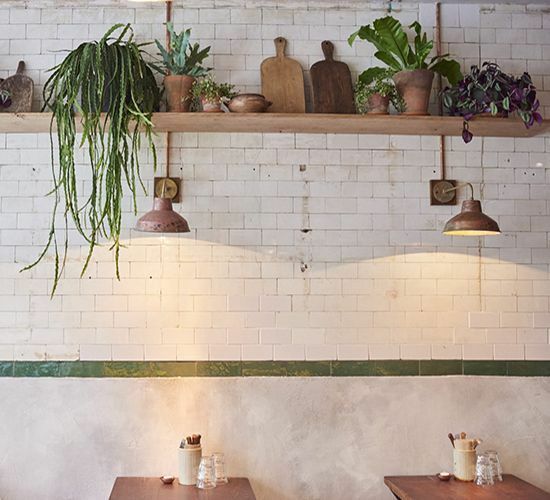 Inspired by the street food of Tel Aviv, Berber & Q’s second site focuses on Middle Eastern cuisine and a new way of approaching wine lists. 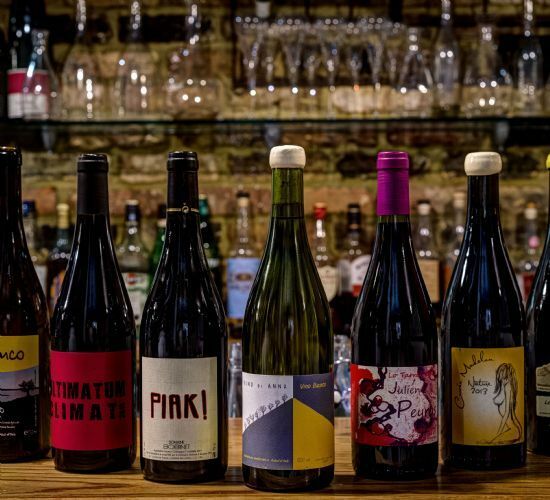 The Real Wine Drinking Guide continues with a look at Terroirs East Dulwich. 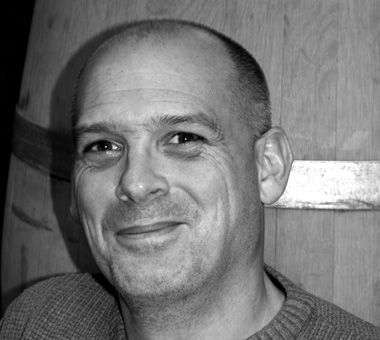 A look at eloquent Pinot Noir and unique Pinot Blanc. The Naughty Piglets brigade proudly pours the wines we like and we want to talk about them! 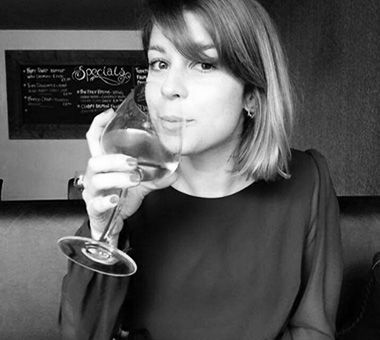 We chat with Margaux Aubry Sharratt, one half of the mighty Naughty Piglets team about how it all started and the wines that keep things flowing. 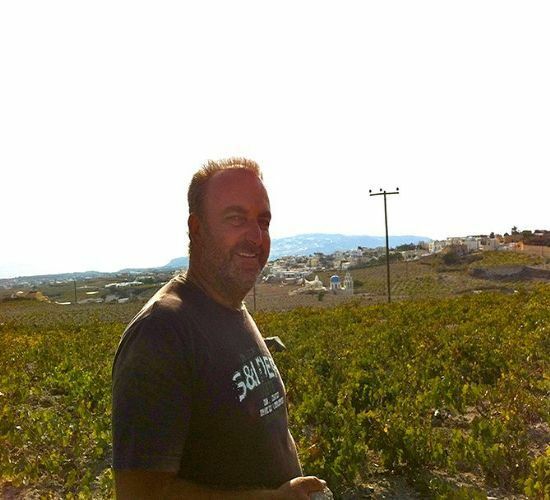 A tribute to the great Santorini winemaker. 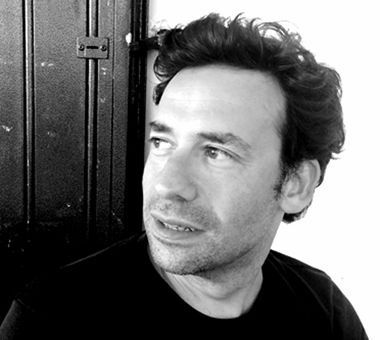 At the very heart of Cascina degli Ulivi is Stefano Bellotti. 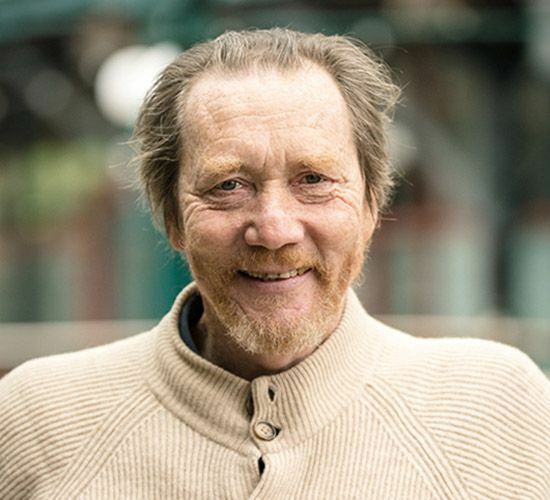 A natural wine pioneer who inherited his lands and has nurtured, loved and encouraged every single vine throughout this 43 year career as a winemaker. 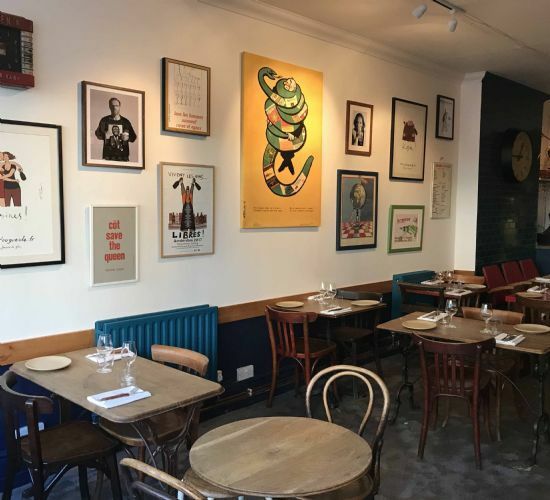 Terroirs' East Dulwich outpost is up and running and we are going to tell you about it! 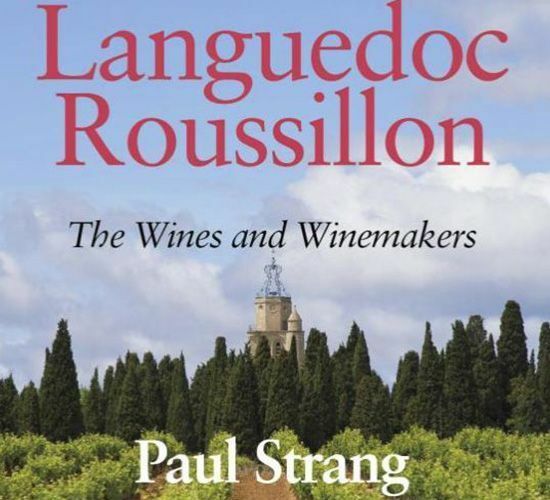 The recently published Languedoc-Roussillon – The Wines and Winemakers - is a revised and considerably updated version of a book that came out in in 2002 and examines a wine region that stretches from the Spanish border, where the Pyrenees meet the azure blue Med, to the southern reaches of the Rhone and incorporates a host of familiar (and not so familiar) appellations and sub-regions. From Mendocino County to Utah we look at Lewandowski's wine. 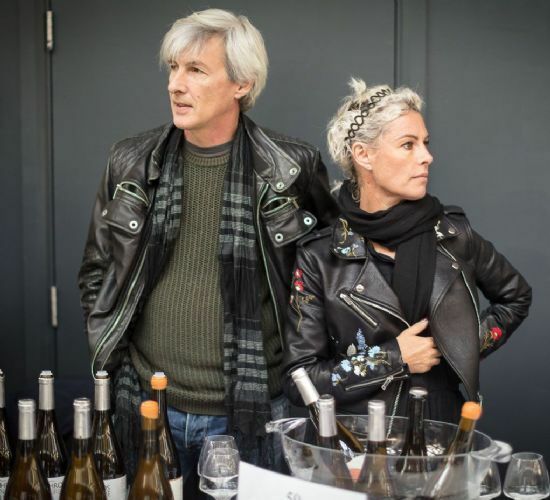 We reminisce our most recent trade tasting, this week looking at some of our French producers, including Domaine de la Chevalerie, Chateau Tour des Gendres and Alexandre Bain. 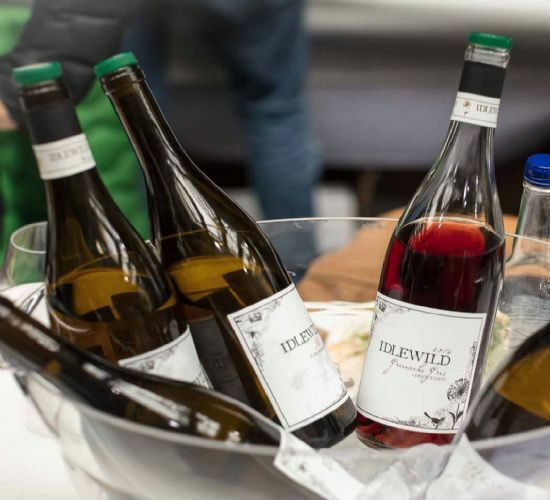 We take a look back over the two day natural, organic and biodynamic wine extravaganza that was Real Wine 2017. 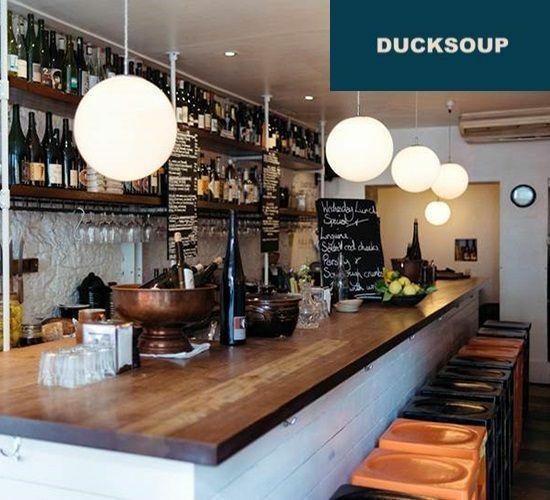 The Real Wine Drinking Guide continues in Soho with Ducksoup! 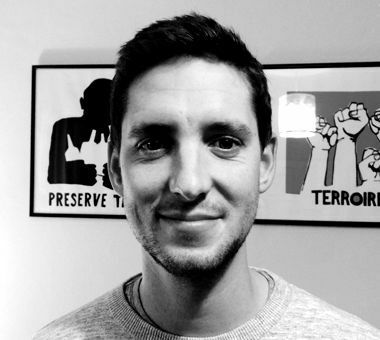 Last week we caught up with Mattia Bianchi co-founder of Berber & Q. Among other things we discussed, natural wine, vinous inspirations, and his upcoming natural wine series DIRT. of Berber & Q and DIRT. A preview of our latest shipment from Australia. Wine from our Fantastic Five! 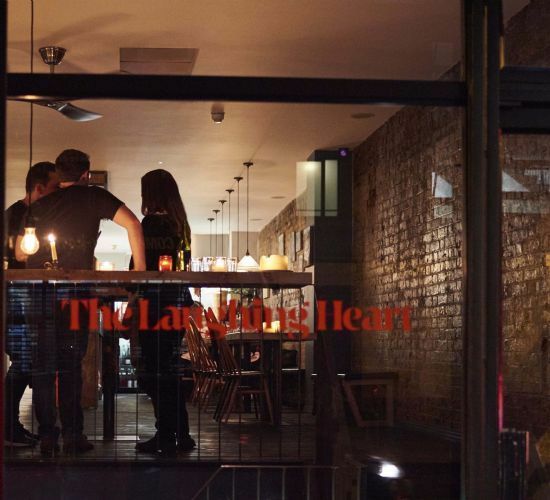 The Laughing Heart opened in 2016, the brainchild of Aussie natural wine fanatic, Charlie Mellor. 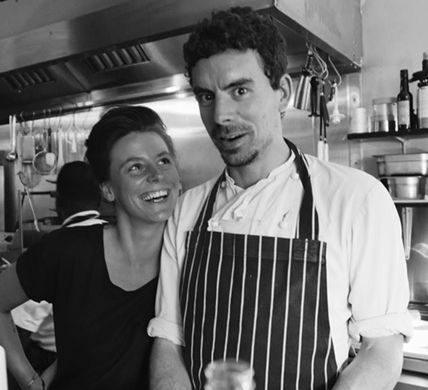 He hired Tom Anglesea as chef; they now run the business together. The Real Wine Drinking Guide cont. 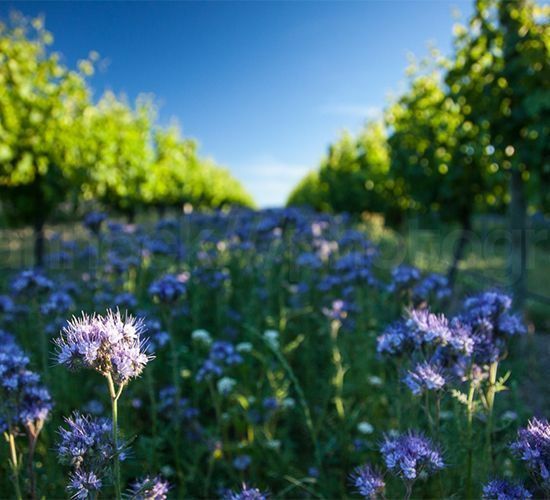 Anna and Jason firmly believe that biodiversity is the key to maintaining a good vineyard. Planning a big celebration? Don't suffer the usual massive collective taste bud malfunction caused by nerves. Les Caves is here to put things straight. Richard Siddle at The Buyer talks to Doug on Les Caves at 30. 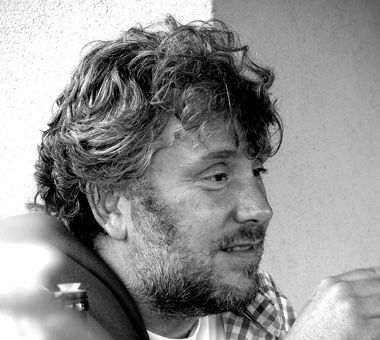 We, and so many in the natural wine world (and beyond), will miss Stefano’s presence. He thought about the role of wine and farming in the wider context, and expressed his opinions fearlessly. 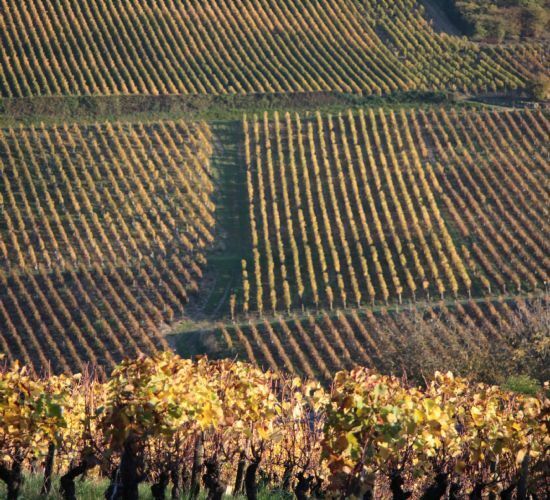 David Crossley offers a comprehensive review of our Autumn tasting, Restyling Wine, and looks back at thirty years of Les Caves. 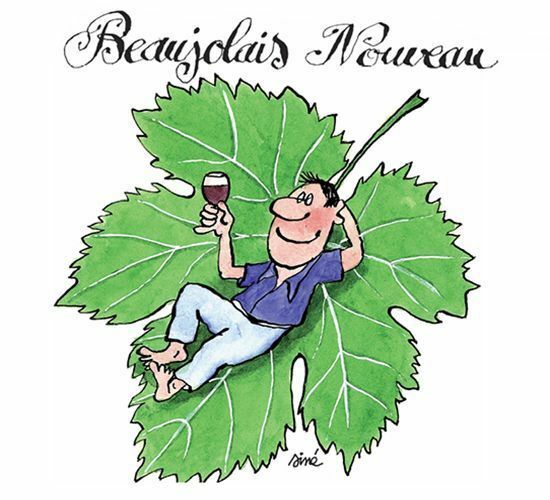 On Thursday 15th November Beaujolais Nouveau Day will be upon us. We've created a map so you can track down Beaujolais' world famous primeur wine! 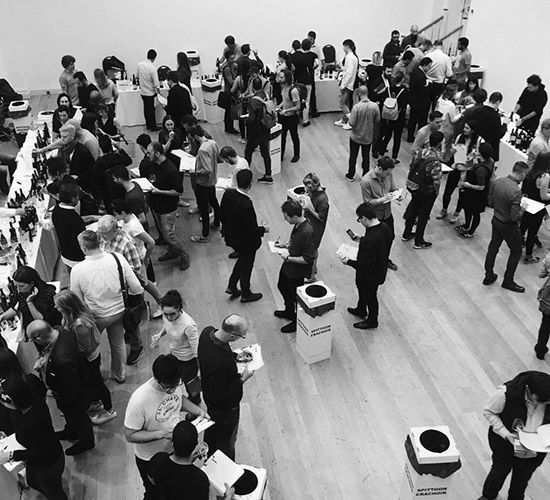 As the Real Wine Fair takes a rest until 2019 we recap the highs of 2017. The wines, the food and the people that made it all happen. 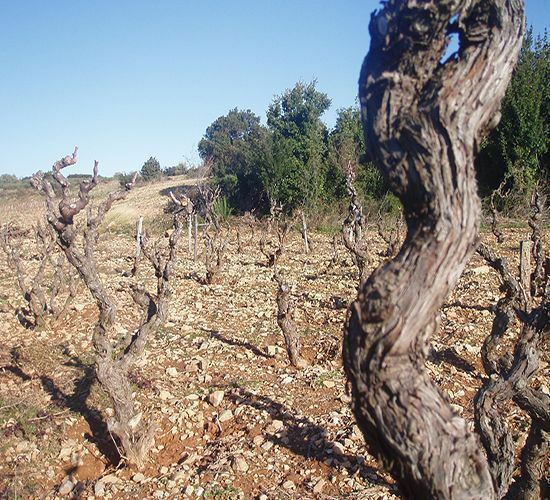 On to part R where we look at the Ribolla, Rkatsiteli, Romorantin and Roussanne grape varieties. We are slowly approaching the end of our journey through the grape alphabet...the letter S awaits us. 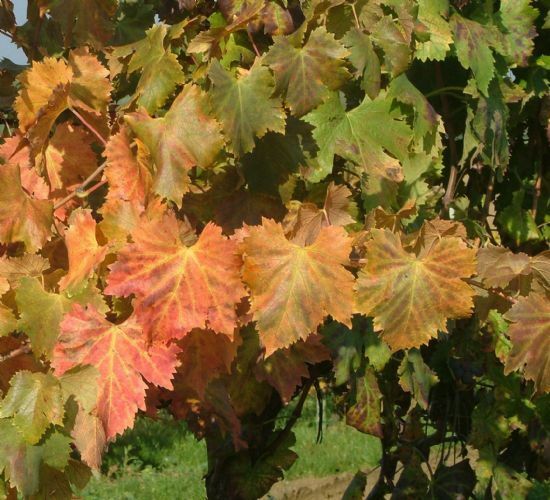 We take a look at the Sagrantino, Saperavi and Sumoll varieties. Could this be the end of our blissful journey? 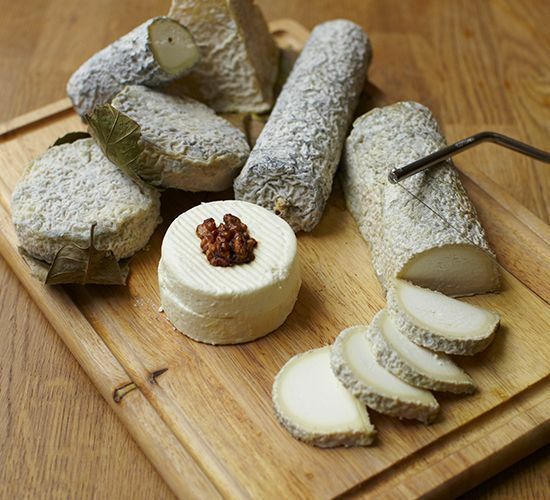 Here are six varieties beginning with T. From Terret Blanc and Terret Gris to Tsolikauri, we explore the main players all beginning with the letter T.
Affectionately known as Le Grand Fromage. 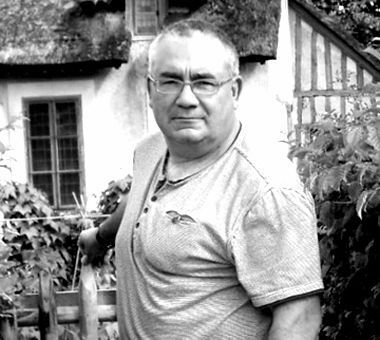 An all-action rugby player until his knees (and various other parts) gave out, Eric moved to England in the 1980s, taking up the cause of natural wines from his homeland with typically Occitan flair. Now dividing his time between London and Sicily (making wine on the slopes of Mount Etna with partner Anna Martens and their two sons), he is very much the spirit and guiding light of Les Caves de Pyrene, its presiding palate and ideas guru. As one of its founding spirits Liz’s memories of Les Caves de Pyrene date back to prehistoric times when Les Cavistes were indeed caves dwellers and wine lists were Gascon-heavy and verbiage-small. In those days of yore Liz was Jack (Jill? )-of-all-trades in the company, performing umpteen vital jobs – often at the same time. Now she beavers away tirelessly as Liz the-techo-fiche-geek, cross-examining our growers on the whys, wherefores and SO2 levels of their wines, and not accepting “non”, nor Gallic shrugs, for an answer. The voice of reason. 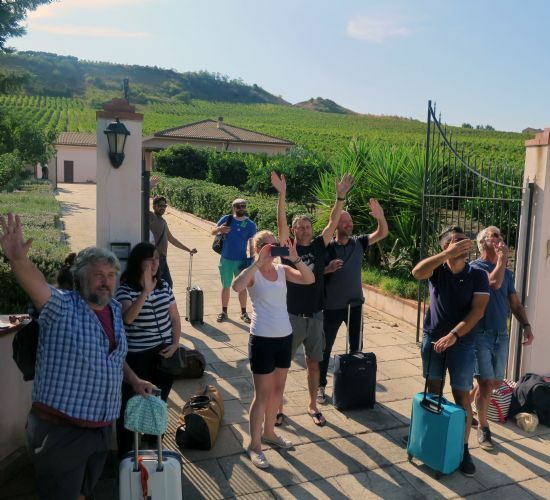 Amy’s efficiency and super-powers of organisation have propelled her speedily through the ranks at Les Caves de Pyrene. 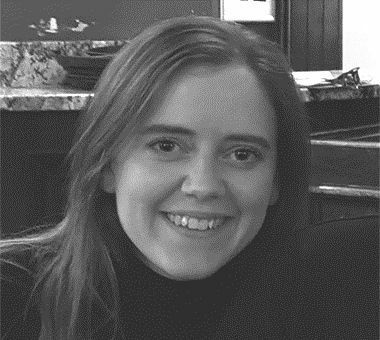 Since becoming operations manager in 2013, she has been the very glue of the company - involved in every aspect of organisation and corporate strategy. In 2015 Amy was appointed managing director - despite the gravitas that the position confers she is still the partiest animal in the Les Caves menagerie. Former sommelier Doug was an early recruit to Eric’s merry band and is author to the epic tome that is the Les Caves' wine list. 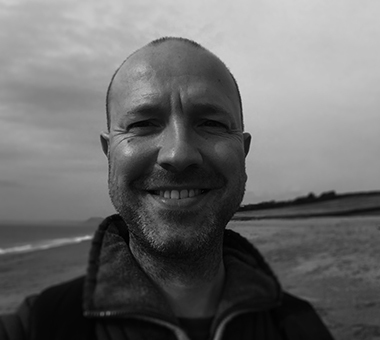 Having whipped the sales team into shape & passed his Sales Director hat over to the polished head of David Canadas, Doug now heads up buying in several foreign fields – namely the U.S, Austria, Slovenia & Croatia – where he has already sourced a wealth of new material. His appearances at the office are so infrequent that he is reputed to be a mythical creature and for this reason has acquired his folkloric sobriquet, Sir Wregg. As Philippe can testify, it is dangerous to get drunk with Eric because you may find the King's Shilling at the bottom of your glass. 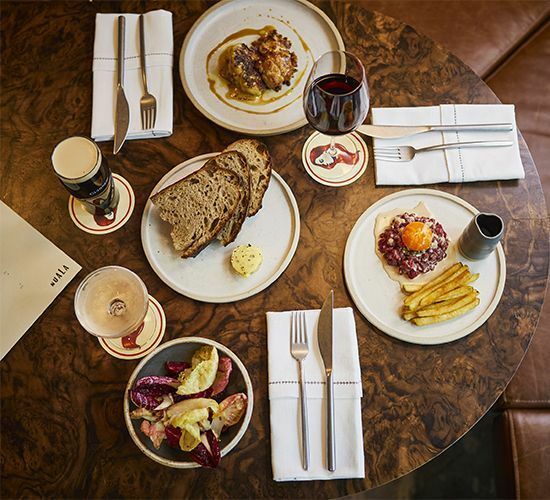 Our senior French wine buyer looks after some pretty groovy accounts in London, where he will often take a "quick bite of lunch". For three hours. 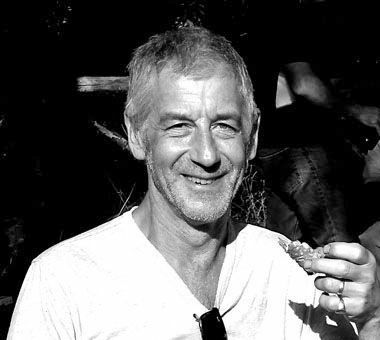 Monsieur Lubac has accumulated a formidable personal cellar over the years (or, as we call it, Grand Cru Cooking Burgundy), his knowledge of the wines of the Rhone valley is encyclopaedic and he never wears the same tasteful designer t-shirt twice. 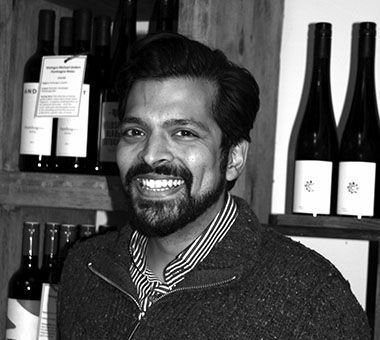 David is one of a long line of members of staff hewn from the Oddbins block and our expert on all things Iberian. He was born in Madrid but raised in Letchworth, somehow emerging from this reversal of fortunes with humour and grace intact. Having resolutely put Spain on the map for Les Caves de Pyrene, he has now also taken on the mantel of Sales Director and puts our motley rabble of reps through their paces daily, as he continues his quest to teach the world to love and respect sherry. Half-French and half-Italian (Fritalian? ), Didier wears two colourful Mediterranean hats - but not at the same time. 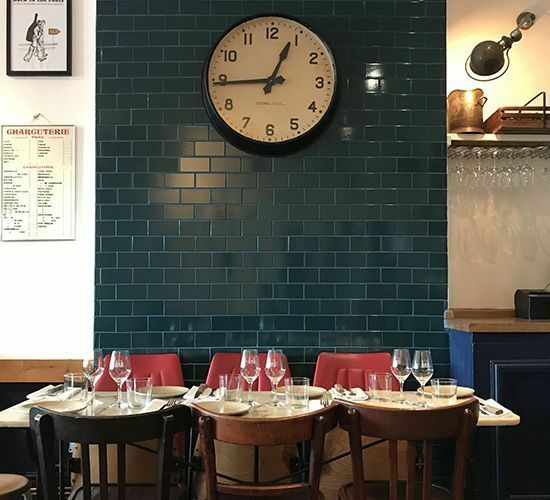 He first encountered Les Caves whilst working behind the bar at Cellar Gascon in Smithfield, where the Pacherenc flowed unpronounceably alongside the gateau basque. 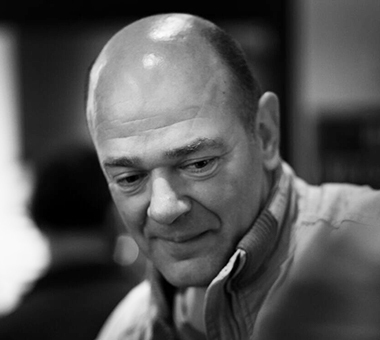 He started at Les Caves on the phones (as we say) before eventually donning the shoe leather as a sales rep. A key member now of the sales and management team, Didier also shares responsibility for buying the wines of his mother-and-father-lands. After graduating from Bristol University, by way of Oddbins, erudite Will crossed paths with a certain Mr Scholes when serving him a Guinness (what else?) at a local pub and was persuaded that he would be better off at a certain company up the road... He has embraced the challenge magnificently, and may often be spotted wistfully swirling a glass of something cloudy as he makes his rounds, accosting anyone prepared to listen to his ramblings on carbonic maceration and the judicious use of sulphur. 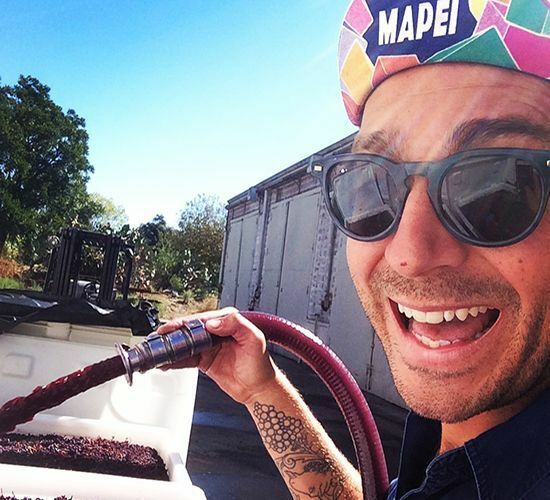 24/7 party animal Carlo has more nicknames than any one at Les Caves. Lupo. Bello. Bello Lupo. And Lupo Bello. (We’re not very imaginative). A native of Puglia, and a talented former-sommelier, Lupo has a fearsomely good palate and can spot cork taint before the bottle is even opened. 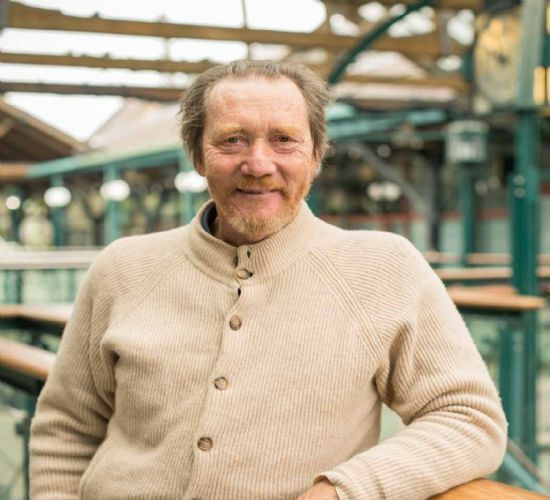 He brings colourful emotion to the monochromatic world of wine-selling and has many devoted customers to whom he is also devoted and can be observed of an evening carousing in all of Hackney’s brightest and beautiful watering-holes. AKA Boardie. Yes, we’re that good with nicknames. James patrols the southern borders of our sales empire, seeking to educate the natives in the ways of the natural force (thereby needing the patience of a small green Jedi). Recently, James has been blessed by fatherhood. The twins should keep him out of mischief for the next eighteen years. One of life’s natural athletes, James is a mean footballer and can whack a golf ball with alacrity miles into the fynbos in the Bot River region. Mr one N and two Ts is a sun-baked roué, can party like it’s 1974 and is liable to launch into a segway of the filthiest ditties and shanties known to man. Phil’s past is equally as colourful as his occasional singing forays and he speaks Spanish with the confident lithp of a native hipther. The genial Jekyll side to his Mr Hyde is muchos respected by his customers, who value his diligence, politeness and willingness to wine-train recalcitrant members of staff who’d muchos rather be sinking a few lagers! 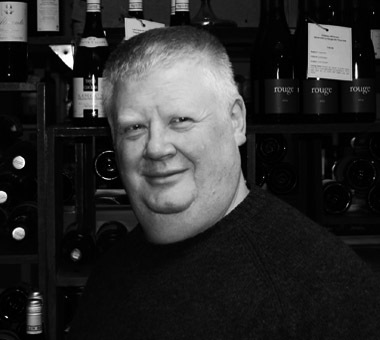 Inveigled to join Les Caves many moons ago when he was the buyer for Villandry restaurant, rugby-dad Gid manages only behemoth accounts - with the odd gargantuan one. All the world’s his spreadsheet; he loves marshalling his armies of statistics. He buttonholes our buyers with requests for wines that we’ve never heard of (decent Prosecco rose, decent Pinot Grigio rose…). No blush Zin so far... A danger to the Atlantic pulpo population he’s racked up more trips to Galicia than the rest of the company put together. Laura hails from Ireland and still sports the gentle brogue of her homeland. 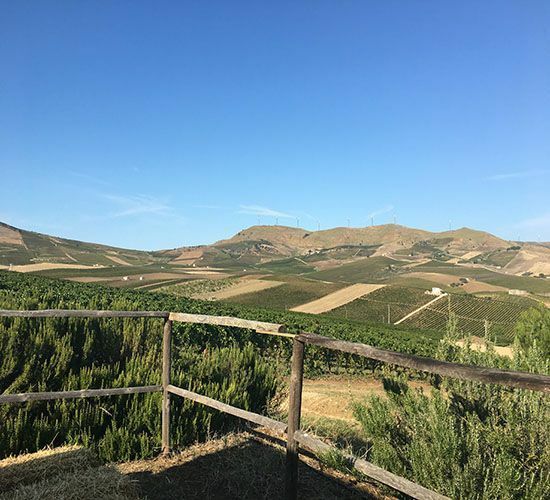 She formerly worked at a biodynamic Italian wine estate, immersing herself thoroughly in wine (not literally) and there acquired her love of the subject and Italian culture. 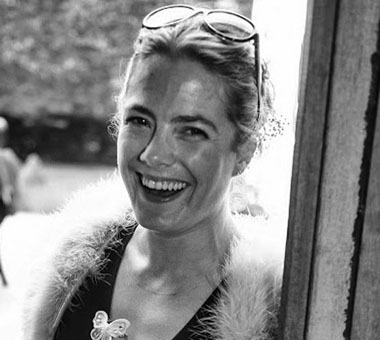 On her return to Blighty she managed the award-winning Loire-focused wine list at The Green Man & French Horn, where she acquired the priceless Les Caves ability to wax lyrical on the 57 varieties of Chenin. No serious party in South London is worth its salt without a visitation by the TT. Former general manager of the Lindsay House in Soho our own Mr Congeniality has an encyclopaedic knowledge of the late night/early morning watering holes in London. When he isn’t selling his reproduction French(y) furniture for an armchair or a table leg TT consorts with the upper echelons of the French restaurant, ahem,… rhymes with rafia. Andrea Ash… Ask… represents Les Caves de Pyrene north of the Watford Gap. In the north of our scepter’d isle they are want to call a spade a spade and Pinot Grigio wine, but Andrea is slowly civilising the indigenous populations and hawking wines other than barely fizzy Prosecco by the keg. 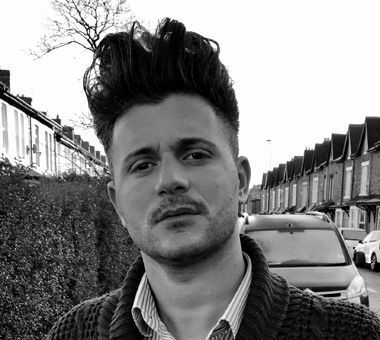 Our Andrea likes a riff on a stiff quiff and comes to each sales meeting modelling a different hair gel and is known to pack the entire contents of his bathroom cupboard for brief trips abroad. Leaving behind her career in the world of opera and classical music, Breton-born cellist Line has brought her vibrant, spirited nature to the Les Caves orchestra. When it comes to imbibing, she has always possessed a suitably esoteric palate (aubergine tea anyone?) but the latest string to her vinous bow has been the discovery of the strange charms of the Savagnin grape. She has now set herself the immense task of ‘tasting the Jura’. Expect our minuscule allocations of Ganevat and Houillon to be further reduced to satisfy the curiosity of this avid taster! 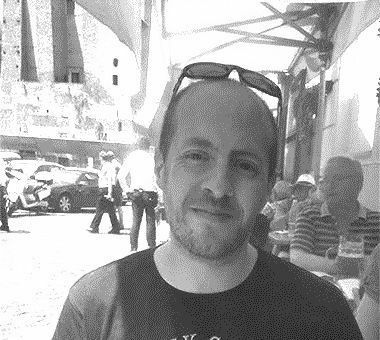 Passionate and driven, our rock-and-roll academic Roman comes to Les Caves after an already very distinguished career both as a researcher in the Philosophy of Psychiatry at King’s College London and as guitarist in legendary prog-rock band ‘Of The I’ which graced the waves at Radio 1. A lover of all things orange, he’s also been a vocal enthusiast of the new wines of Paolo Balgera from Valtellina. With the Mission Impossible theme playing in the background our Elena P pilots the supertanker that is the CdP shipping department. She is the multi-tasking polyglot’s polyglot conversing at a million miles an hour with our growers across the planet. She’s thoroughly familiarised herself with the arcane procedures of groupage, shipping procedures, types of containers – an education in itself. Cracking the whip (in the nicest possible way) Elena ensures that we receive wines from the farthest shores of manana-shire (except Crete). Charles “Mr” Porter used to drive one of our battered old vans in the days of waybackwhen delivering Gascon goodies to the local French bistros and pubs. Now he sits in the shipping lane despatching orders all o’er and wrestling with the linguistic linguine of unpronounceable cuvées and growers’ names. A keen cyclist our Mr Porter has also been known to take to the high seas (or the Solent) in a yacht, trying to avoid the shipping lanes! Signor Jackson (told you our nicknames were imaginative) is our shipping magnet (boom-boom) and pores over the ancient runes (and ruins) of our stock sheets. Tipple-wise he’s not averse to the Pinot-ier things in life - Gevrey-Chambertin goes down well apparently. His other knotted handkerchief is as a DJ extraordinaire, and he’s wont to wax lyrical on the esoterica of mixing desks and whatnot. His fave rave destinations include Thailand and Cambodia and a certain wine bar in Barcelona. 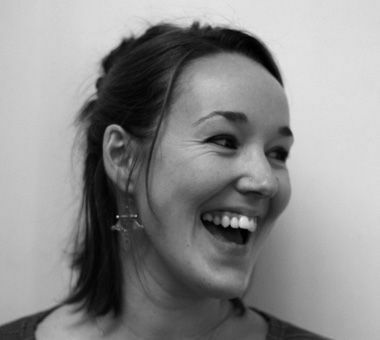 Another of our resident polyglots Laura can converse in French, Spanish with a little Italian. Her language degree led initially to a career selling book rights (her proudest claim is to have sold books on French cheese to the French). Dealing with three children under the age of 3 has given her experience in time management and diplomacy, useful for working in our busy shipping department! Laura’s not averse to wine with bubbles (Champalou Brut a fave tipple, Gerbais if you’re paying), otherwise prefers to sup the light ‘n’ fruity stuff. 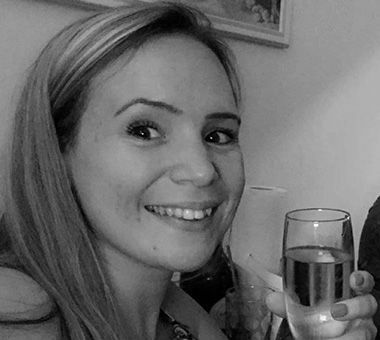 Hailing from the land of Prosecco, cycling enthusiast and polyglot Laura brings an in depth knowledge of all things sparkling to Les Caves Shipping Department. 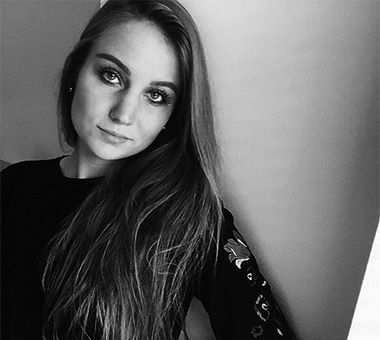 Spending her childhood exploring her grandparent’s vineyard and teenage years wine tasting with her father, she is somewhat of an expert on her native Veneto region of Italy. When not observing the merits of different Prosecchi, baking magician Laura can be found creating an endless number of baked goods. 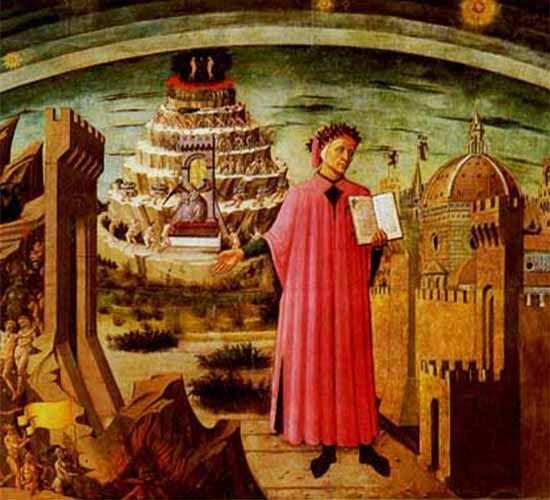 Skilful linguist Vanessa is often given the unenviable task of contacting our more hermetic growers to prise info out of them. An essential part of the Real Wine Fair organising team, she’s goddess of the spreadsheets and has perforce had to immerse herself in any sort of organisation and logistics. Known as Audrey Hepburn (the eyes have it!) Ness loves anything artsy-crafty from jewellery making to pottery. 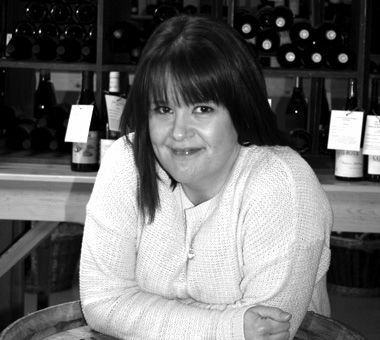 She loves discovering new interesting wines – Patrick Sullivan's Haggis is a particular favourite! 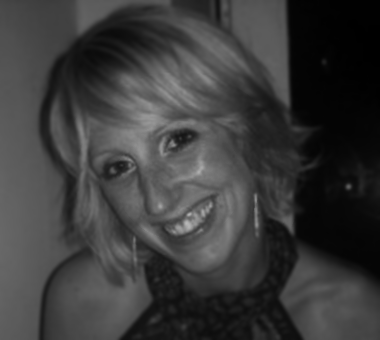 Vicky is another member of our superstar team beavering away in PR and events. 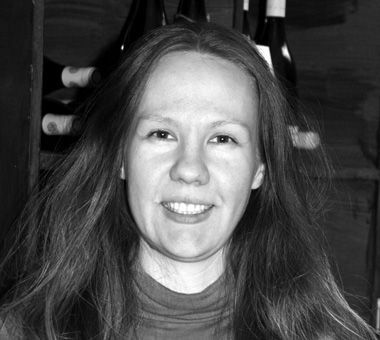 She is responsible for updating our multiple lists and trying to upload the avalanche of new wines that arrive unannounced every month. (It aint gonna stop!). 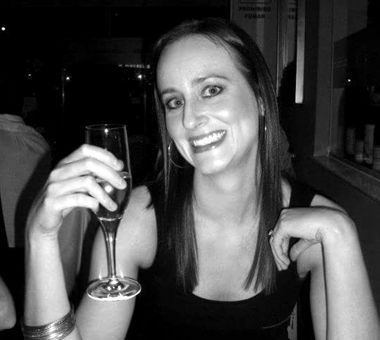 An avid tea drinker and amazing chef she loves holidays and sunshine and is a big rugby fan – no surprise having spent eight months in New Zealand. Vicky’s idea of bliss (which is how they say bless in NZ) is a chilled glass of Albarino o’erlooking an azure seascape. 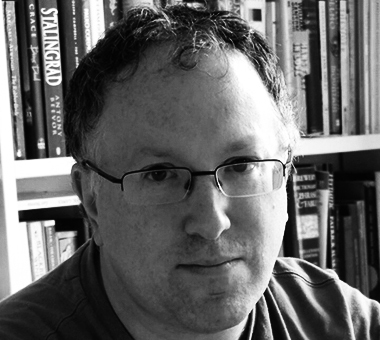 Self-confessed wordsmith and book-worm, Elliott works his cheeky charm with the punters. 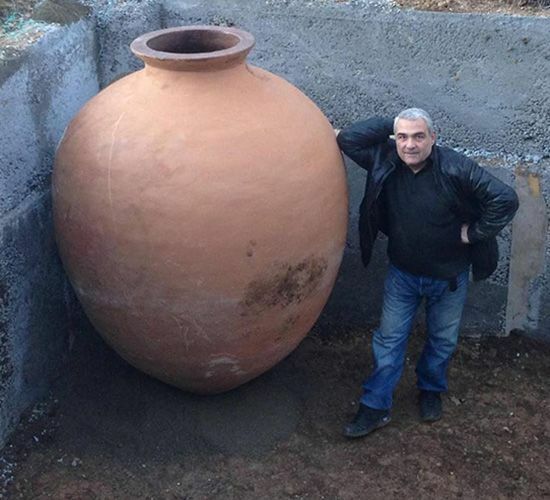 His jocular reputation has resulted in a ‘pun jar’ being installed to curb the constant flow of witticisms. From Hemingway to Harper Lee (what - both books?? ), there’s not much he hasn’t read and although book and wine matching has yet to go mainstream, the Foillard Morgon Côte du Py is a good place to start we’re told! 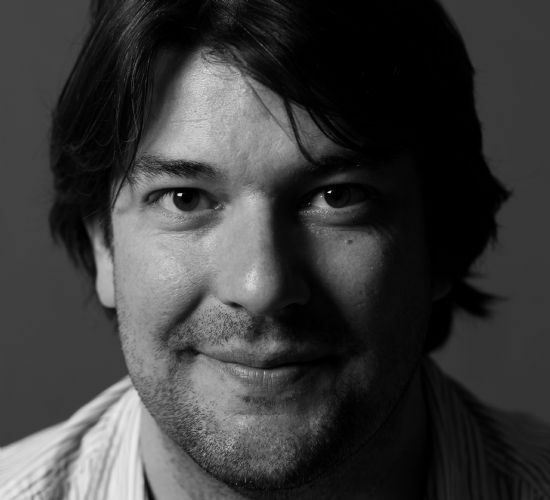 Ben joined Les Caves at a tender age upon graduating from Plumpton College. He heads up the crack team on our sales desk, doing his utmost to keep our customers happy and their glasses full. 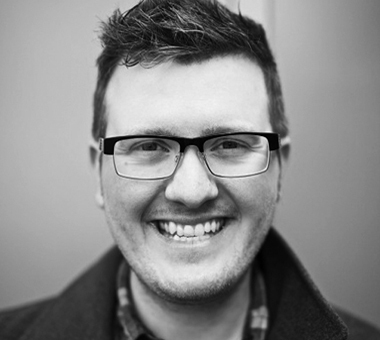 Ben sports a bewildering array of eclectic tastes in film, music and literature, and is a gung-ho adventurer, liable to take himself off to some of the less hospitable corners of the globe - including North Korea and Eastern Ukraine. Being no stranger to danger he should be right at home with volatile natural wines. Banjo-playing, bird-watching mathematician (what are the odds of that??) 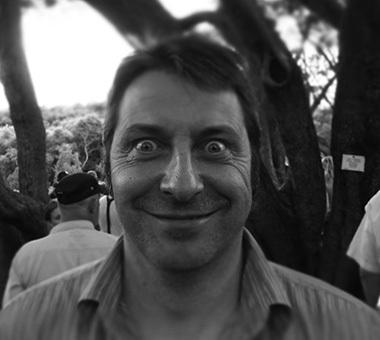 James has brought his eternally cheerful outlook and disarming enthusiasm to the sales island. He has also been broadening his wine horizons after a long stint at Majestic, and has already developed a truly eclectic palate. 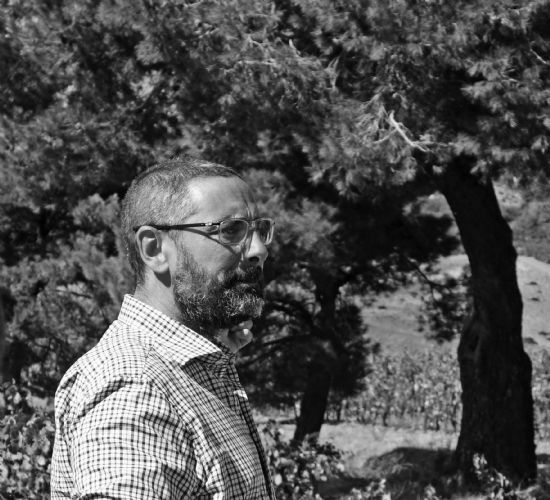 While harbouring a soft spot for the classical Chateauneufs of Barroche, he especially enjoys challenging the taste buds of his former colleagues with wines such as skin-contact Rkatsiteli – bravo! Pete is cool as a cucumber when it comes to meeting the needs of our on-trade customers. Another convert from the Majestic stable, he was first introduced to the portfolio with some of our skin-contact Georgian offerings, although he still has a soft spot for a “big” Chardonnay every now and then. A history-loving wanderlust with plenty of stories to tell (ask him about being mistaken for Michael Owen on the Argentinian/Chilean border by customs officials). A lot has also been mentioned of his singing ability of 90’s pop classics, so a karaoke evening will be arranged to see if the rumours are true! 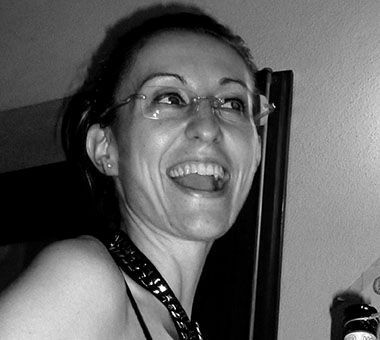 An Italian linguist from Poland, Magdalena joins us after working at one of Guildford’s best Italian restaurants. 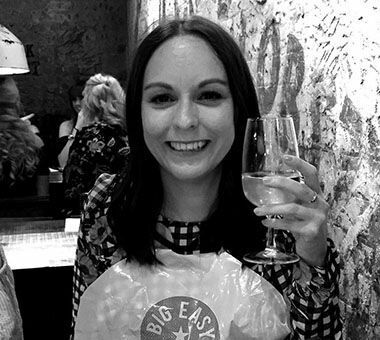 This experience only served to galvanize her love of all things Sicilian so it seemed a natural progression that she would come and join the Sales Support Team. Always keen and ready to learn, Magda’s favourite wine at the moment is Inzolia (anyone notice a theme occurring?) 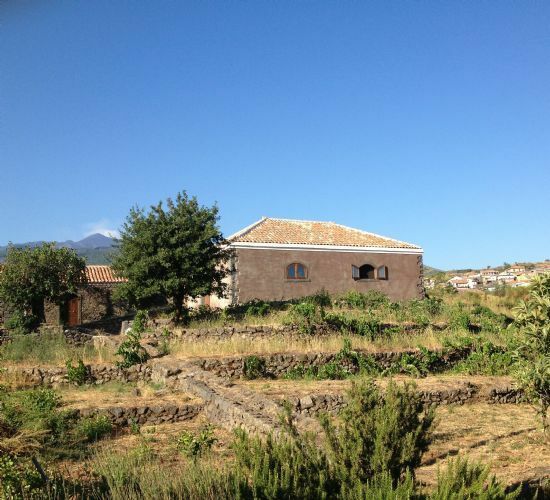 so with an extensive Sicilian portfolio to explore, there is plenty more for Magda to discover! 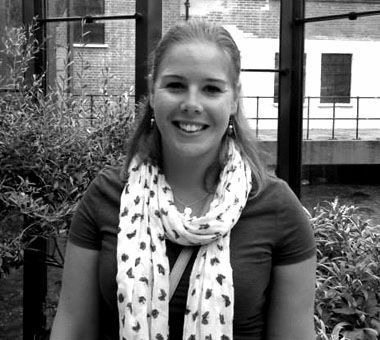 Roisin joins us from Majestic (yes, another successfully poached) via doorman work and lifeguarding at university. Always willing to try her hand at something new, wine it seems has stuck. 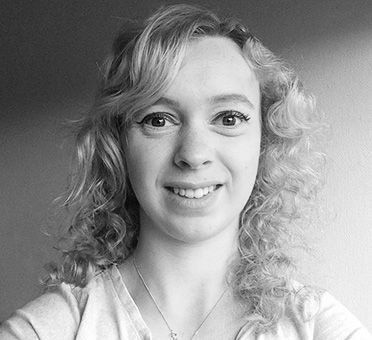 Variety is the spice of life, and Roisin’s hobbies are as varied as her resume. Interests include: dressage (competed at Nationals as a junior), the triathlon, and travelling whenever possible. 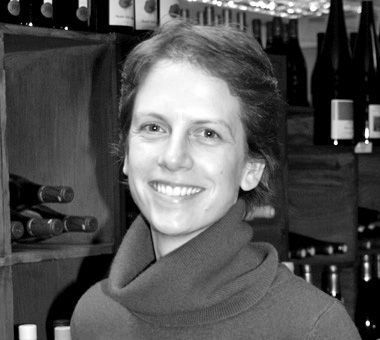 Since joining Les Caves she has embraced the world of natty wines, a particular favourite being Frantz Saumon’s petillant La Petite Gaule. 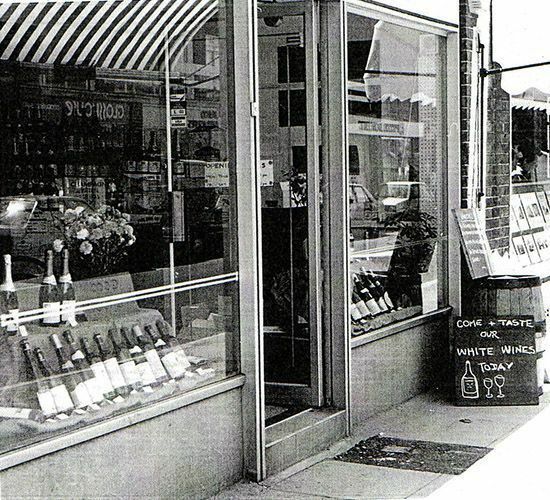 Having worked in restaurants, wine shops, and a local vineyard, a wine importer was perhaps the inevitable next step. 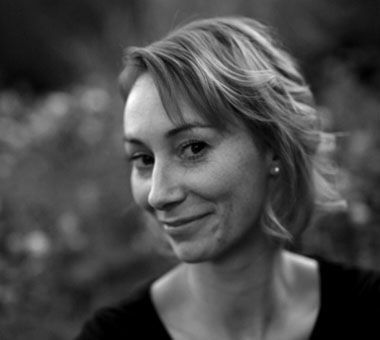 Hailing from France, Hélène, when not swirling vino or baking, likes to GYM: weightlifting, spinning, running – cavorting?! Occasionally stationary she also likes to break a mental sweat and currently masters five languages. Though our linguist extraordinaire never strays too far from her mother tongue, proudly proclaiming, "I'm French, so I can pair cheese and wine!" When asked for a favourite wine, "I mean, did you see the size of our list", was her incredulous reply. 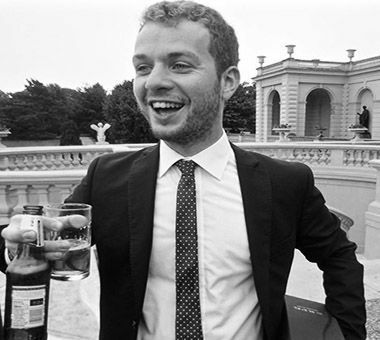 Champion of bizarre baguette fillings, Josh always fancied himself as a thespian; instead he’s treading the boards with the Les Caves Troup! Scouted by Southampton FC as a youth he’s not bad at footy either, while repose is spent taking in the American Literature of the early-20th Century. 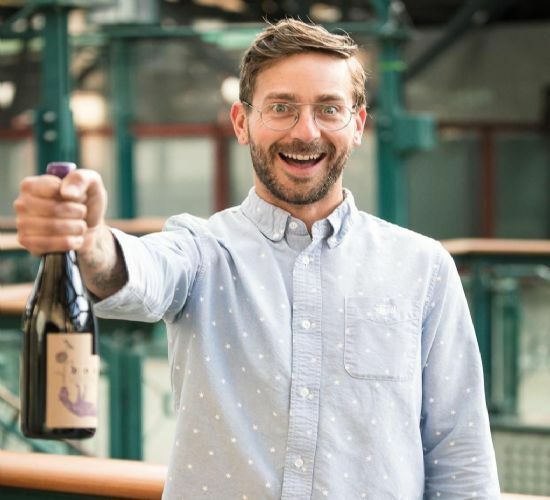 Rumoured to have successfully avoided eating fruit since 2004, Josh believes its most judicious use is the fermentation of its juice, and more specifically represented by Bornard’s Ploussard Point Barre. Our Financial Controller is also our resident petrol head having come to us from the whizzy world of GP2 Racing. Two bambinos have put a gentle brake on the days of shopping and socialising in London; she now spends weekends looking for the best soft play locations in Surrey. Preferred tipple? Laurent Perrier Rose. Not gin! (Don’t ask). Tasha’s claim to fame is to get LCDP collectively hurled out of a pub in the middle of Spain after deciding that the service would be swifter if she was administering the drinks! Our erstwhile flashmobber may be found at weekends supping the bubbly stuff or zumbaring her way around the local town centre. There’s a sentence you don’t read every day! Yvonne has been part of the CDP family for many years, and deals with all of our supplier & producer invoices, payments, expenses and many other things... the list is endless! 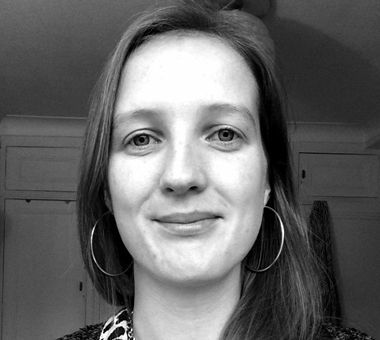 Zoe hails from Aldershot and is an avid supporter of Aldershot Town FC. When she isn’t sipping on a G&T – with lime – not cucumber, she can be found in our accounts department where she acts as Purchase Ledger Assistant. She likes wine (particularly the Henry Marionnet, Touraine Gamay Charmoise), but not quite as much as a good G&T. When not training hard in the gym, which she does twice a week, she is also partial to a karaoke session and loves to steal the mic from unsuspecting DJs. As a child Abbey (Abz) always wanted to be a Vet. Instead she’s stuck with the Cool Cats at Les Caves. We can honestly say the veterinary profession’s loss is our gain. Currently training to be an accountant, Abz darts between our London restaurants, armed with her trusty backpack ‘O’ files making sure everything’s tickety-boo in the numbers department. Music obsessed, gig-going, and festival flocking, when she’s not listening to beats she beats the tracks walking her beloved dog Bruce. A member of The Caves Gin Lovers Society, a crisp glass of Ca D`Gal Moscato Lumine also hits the spot. Victoria heads up our Credit Control department and when she’s not chasing our (ahem!) less punctual payers she moonlights as Les Caves’ resident pet-sitter. Recent stints include looking after Tiny Tina and Batman! Part-time animal whispering aside, Victoria also has a love for Americana. She’s a Harley-riding, Bourbon-swigging rocker who hails from Essex but who likely has a spiritual doppelgänger in Tennessee. This North American furore is tempered, we’re told, with yoga, meditation, baking and the odd glass of Jane Ventura Blanc Seleccio! 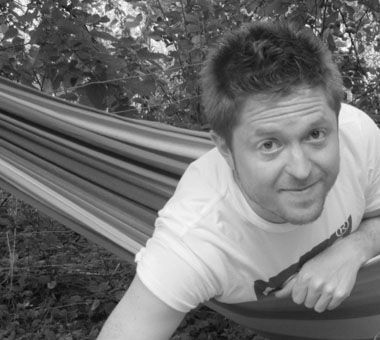 Adam joined Les Caves after a somewhat ill-fated attempt at taking part in a well-known reality show. Luckily for him, his plan B led him into our midst as Credit Controller. When he isn’t number crunching, he’s likely to be found enjoying a stiff drink of Kraken with his family or taking part in a murder mystery party. 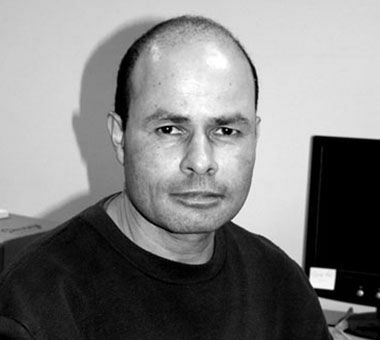 He is particularly keen on superheroes, particularly Superman and likes to adopt mistreated cats. Jo - AKA JoJo - affectionately known for her distinctive laugh (think Jimmy Carr meets Barbara Windsor) a hearty guffaw which can be heard Surrey wide. When not at work Jo puts her BSc in Media Production to good use creating videos for family events. A committed party planner, JoJo is partial to the odd glass (bottle) of Picpoul or a nice, cold Gin and Tonic. With eclectic interests from cleaning to pole dancing, any dancing, Jo is always happy to instruct the less coordinated Cavites on the making of shapes. Not all have mastered twerking, though many have Beyoncé’s moves down! Nini first arrived at Les Caves stashed between cases in a pallet of Vouvray shipped over from her parents’ estate. 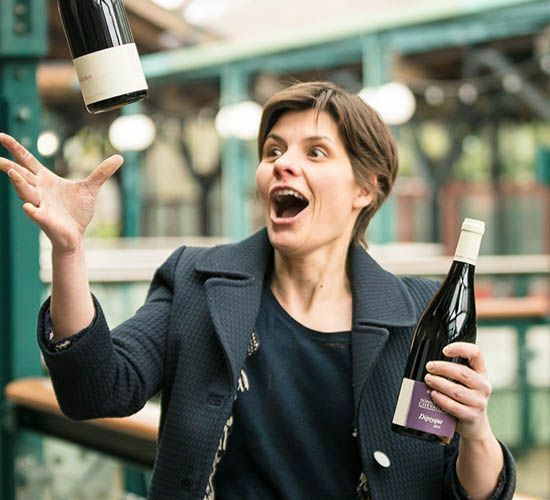 She is the long-standing manager of our shop at Pew Corner, keeping the boys downstairs placid through a steady diet of French pop music, and juggles this with handling our customers’ Ex-Cellars orders. When the proverbial hits the fan, her voluble cries of “Peteeerrr” can be heard from the office upstairs – and most of Artington. Her penchant for “les bulles” is renowned and that certain sparkle is prevalent in almost everything she does. 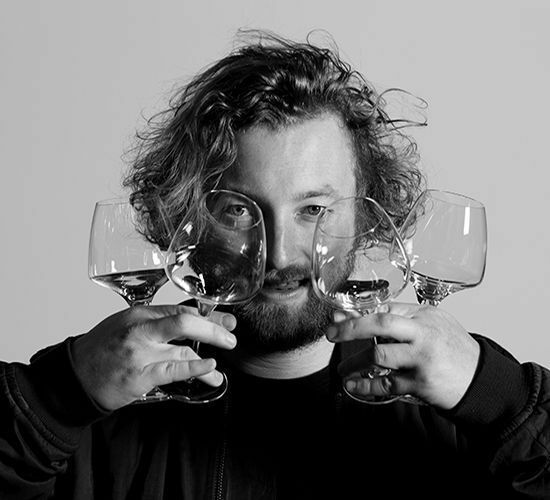 Danny started his wine journey at one of Edinburgh’s Michelin-starred restaurants, worked alongside a sommelier from Toulouse called Viv who regularly impressed upon him that “South West is the best”. 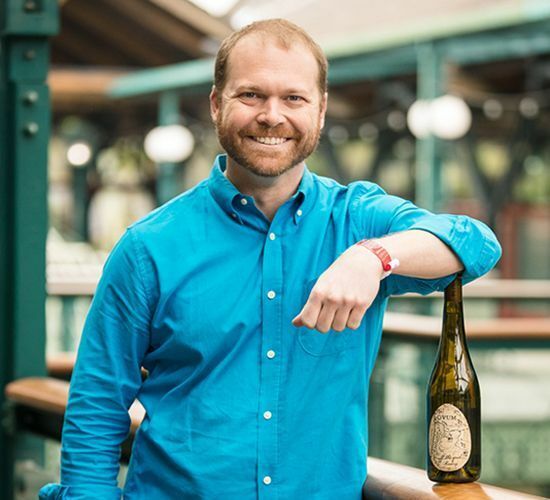 He went on to spend a period working as a sommelier at another top-end establishment on the Isle of Skye, before heading south of the border and joining the team at Les Caves. Danny’s ready enthusiasm for increasing his knowledge of our portfolio (drinking) more than makes up for his questionable sense of humour. Pete originally joined Les Caves as a van driver, leaving the warehouse at some godforsaken hour in order to get the wine to our thirsty customer on time. Since then he has taken on the mantle of Warehouse Manager at Pew Corner, and spends most of his time behind the scenes finding ever-ingenious new ways to cram in bottles from our ever-expanding range into every last nook and cranny available. Pete is a master raconteur and never short of an anecdote, whether required or not. Joining the company not long after Pete, Anthony has been and remains one of our most valuable secret weapons. He is always at the ready to come to the rescue and only he can navigate across London in his red van quite as efficiently as he does. When not out on deliveries, Anthony spends his time assisting his colleagues in the shop at Pew Corner (aka smashing bottles). Anthony also heads up the catering department at shop tastings, and the bacon sarnies he lays on at our annual stock take are the stuff of legend. 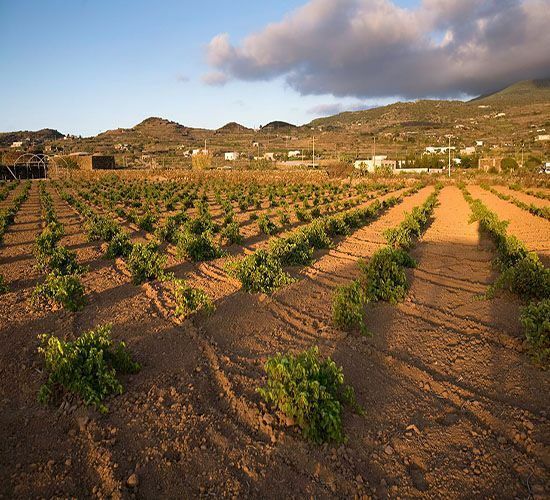 The wines we list reflect the peculiarities and strengths of their region - their terroir. But equally as important, a list should reflect the way we drink - with food, with friends, listening to music, watching a sunset, smelling the sea air… because drinking wine is primarily a reason for having fun.